Apple CEO Confirms Cellular iPad mini Coming to China in Late Jan.
Apple CEO Tim Cook has confirmed that the cellular version of the iPad mini will arrive on the mainland in late January. Cook tipped the upcoming release on Thursday in an interview with Chinese reporters. His visit to Beijing has included meetings with high-ranking government officials, visits to Apple stores and resellers and discussions with potential partner China Mobile. Last month, we noted that the cellular models of Apple’s latest tablets had received domestic network licenses, a required step before devices go on sale in China. 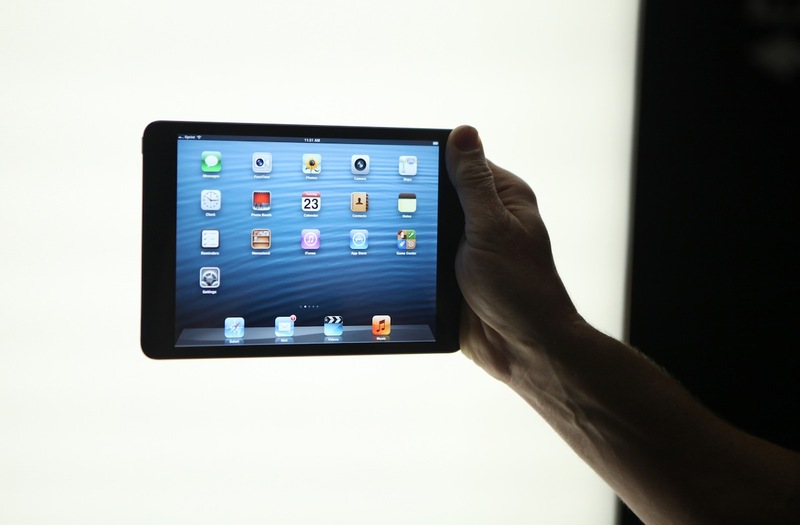 The Wi-Fi only version of the iPad mini and fourth-generation iPad arrived in China on December 7th, a week before the release of the iPhone 5. Cook admitted that Apple devices do take longer to arrive in China because of a longer approval time. He mentioned efforts the company has taken to shorten the approval time and pledged to continue working on the issue. The executive also predicted that China will eventually become Apple’s largest market and have more than 25 retail stores. It currently operates eight stores in four cities on the mainland. The Greater China region, which includes Hong Kong and Taiwan, is currently the company’s second-largest market, accounting for about 15 percent of revenue last fiscal year. Cook told reporters that he has visited China many times in the past, with his first visit taking place in 1996. “I love China because it is full of life, full of energy and it’s a quickly-changing market,” he reportedly said (translation mine). Apple CEO Tim Cook also met with China Mobile chairman Xi Guohua on Thursday, a spokesman for the carrier confirmed to QQ Tech. The meeting is a crucial one, and it alone would make it worth the trip for the CEO, as China Mobile represents a massive untapped opportunity for Apple. With over 700 million subscribers, China Mobile is unchallenged as the largest carrier in the world. Even if only a fraction of those customers can afford the iPhone at its current price, it still represents one of the biggest revenue sources that Apple has yet to unlock. If Apple is indeed working on a budget iPhone, as recent rumors suggest, the company could make even greater strides in the country’s mobile market, which is currently dominated by low-cost Android smartphones. Local media are speculating that China Mobile will indeed carry the next-generation iPhone when it is released. China Mobile has hinted at ongoing negotiations over the iPhone in the past, even suggesting that Apple had promised to release an iPhone compatible with the carrier’s upcoming 4G network.